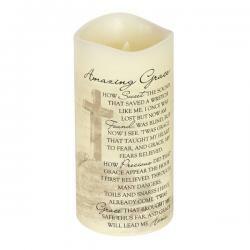 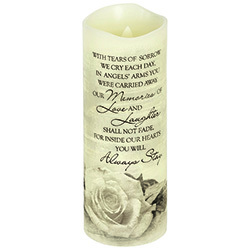 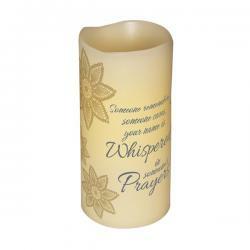 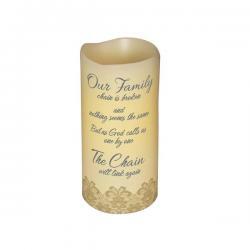 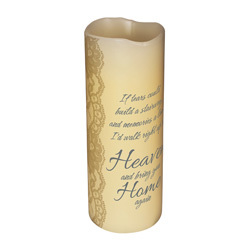 Create a warm and inviting space in your home with Decorative candles and flameless candles. 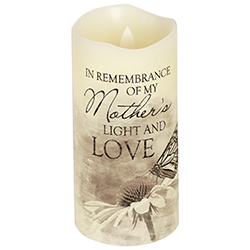 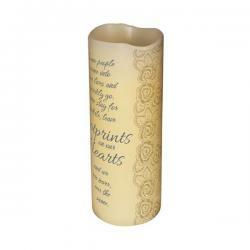 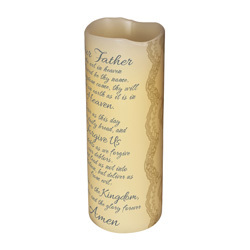 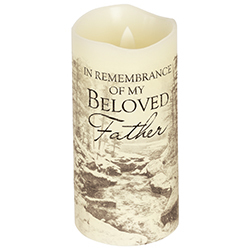 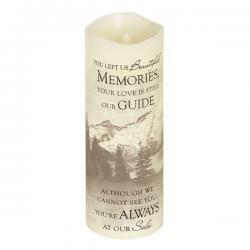 Our vast collection of candles for the home includes, poetry candles and flameless candles that can be turned on or off with the flick of a switch. 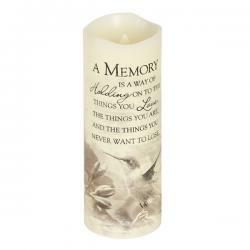 When you choose our remote operated candles you have peace of mind while still creating a lovely candlelit glow. 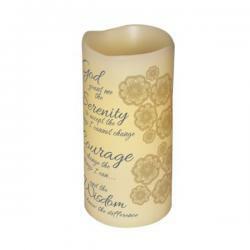 Abiding Light Scented Flameless Candle "Footprints"
Abiding Light Scented Flameless Candle "Heaven's Tears"
Abiding Light Scented Flameless Candle "Lord's Prayer"
Abiding Light Scented Flameless Candle "Memory"
Abiding Light Scented Flameless Candle "Our Family Chain"
Abiding Light Scented Flameless Candle "Serenity Prayer"
Abiding Light Scented Flameless Candle "Whispered Prayers"
Everlasting Glow Candle "23rd Psalm"
Everlasting Glow Candle "A Memory"
Everlasting Glow Candle "Amazing Grace"
Everlasting Glow Candle "Arms of An Angel"
Everlasting Glow Candle "Beautiful Memories"